The beautiful Channel Island of Jersey is the perfect place to put your feet up and relax, with its golden beaches, first-rate accommodation and high-quality restaurants providing ample opportunity to chill out in comfort and style. However, it is also important that anyone who visits this idyllic island also takes the time to truly explore its stunning natural environment – and the best way to do this is on foot. 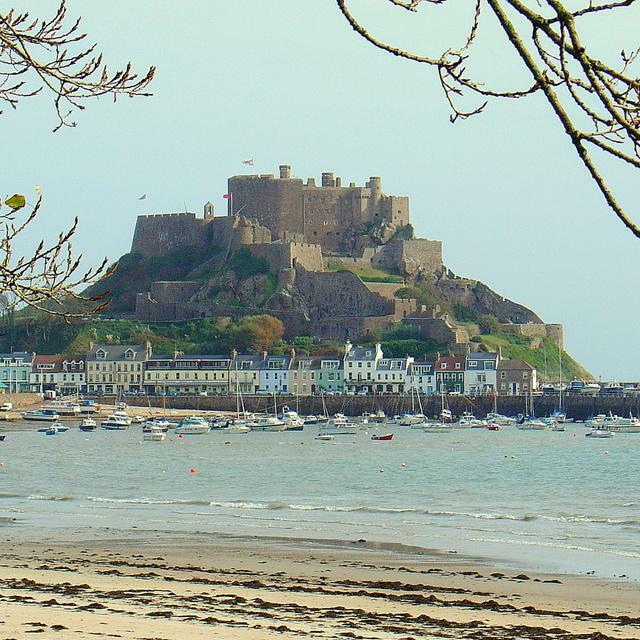 After all, it is important to squeeze in at least a little exercise when we are on holiday, and the wide range of scenic walking routes around Jersey offers the perfect chance to do so. Read on to find out more about some of Jersey’s most popular and stunning routes, as well as where you can stop off for some well-earned refreshments along the way! 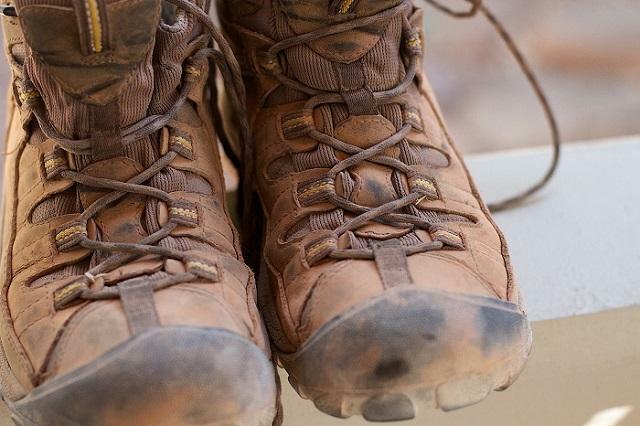 “Imagine being able to walk on sandy beaches, towering sea cliffs, and woodland all in one day. “Welcome to Jersey, an island of a very compact 45 square miles, only 450 feet tall at its highest point, and only 20 miles from the French coast, yet thoroughly British. The Island is not part of the European Union, nor is it part of the United Kingdom, but it is part of the British Isles. In fact, many might say it is the oldest part of the British Isles because the Channel Islands belonged to the Duke of Normandy before he invaded England in 1066. Famous for cattle and potatoes, today the island’s economy is principally based on finance, but in the past, the island has found wealth in cider, socks, dried fish, tourism and even privateering. “Jersey has an efficient, regular and inexpensive bus service which can transport you all over the island. As for specific routes, our first choice allows you to explore the beautiful and historic parish of Saint Lawrence, which is right in the centre of the island. 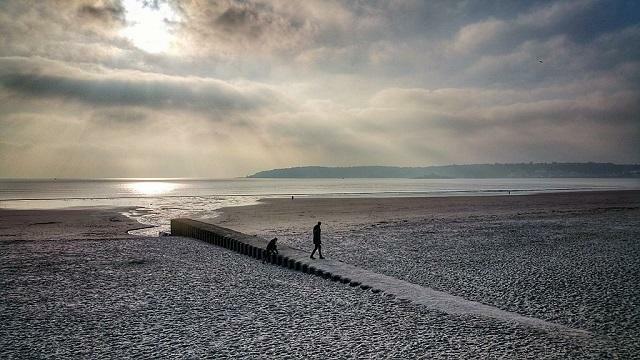 Although Saint Lawrence is mostly inland, your walk will begin on the coast at St Aubin’s Bay. The most testing part of the route, thankfully, comes at the beginning, when you will need to climb a steep hill to reach the top of Mont Cambrai. From this vantage point, you will be able to take a moment and admire the beautiful view of St Aubin and Elizabeth Castle below. Once you have reached the summit, you will descend back down into the beautiful woodland of St Peter’s Valley, but don’t do so until you have stopped off for a well-earnt (and probably much-needed!) 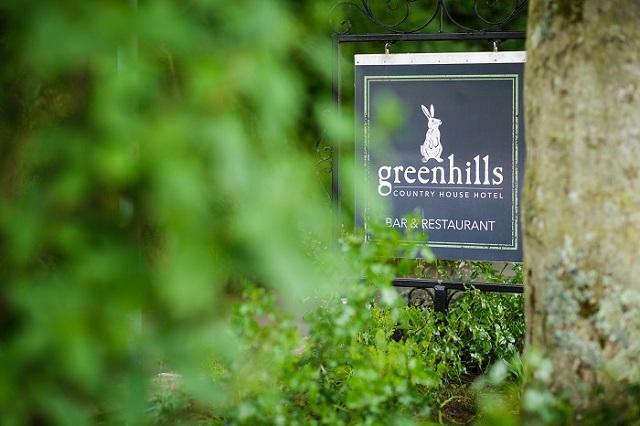 rest at the charming Greenhills Country House Hotel. Guests are always welcome to drop into this lovely 4* hotel for something to eat or drink, although it might be a good idea to phone ahead to make sure there is a table if you want one – this is certainly the case if you are interested in a Sunday lunch, as these tend to get booked up quickly. If you have walked there on a fine day, we recommend enjoying one of the succulent, locally produced dishes from the hotel’s light bites menu – which can be found here – whilst looking out over their stunning gardens. Here’s some more information from the team at Greenhills about why you should be sure to make a pit stop there: “Built of local Jersey granite with some of the building dating back to 1674, with charming gardens, it is an ideal stop off on any trip around Jersey, whether walking or cycling in the ‘Green Lanes’ (where pedestrians and cyclists have priority in a 15mph speed limit zone), or along the coastal paths and cliff walks. “You can easily discover some of the island’s history, and dramatic panoramic views in the area around the hotel without using a car or bus. 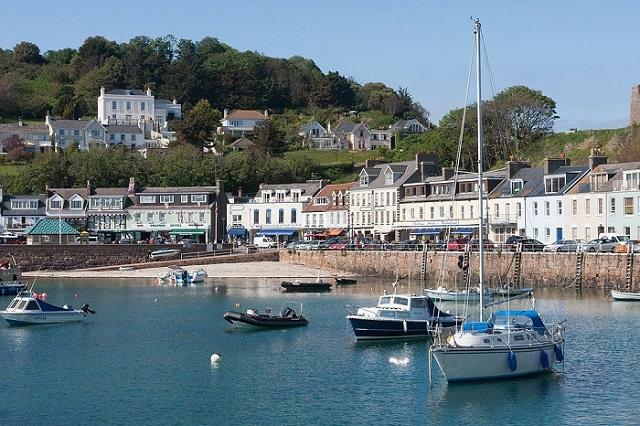 Then, once you have enjoyed your refreshments, all that’s left is to carry on down the hill and back to St Aubin’s Bay, where you will no doubt be looking forward to putting your feet up for the evening! 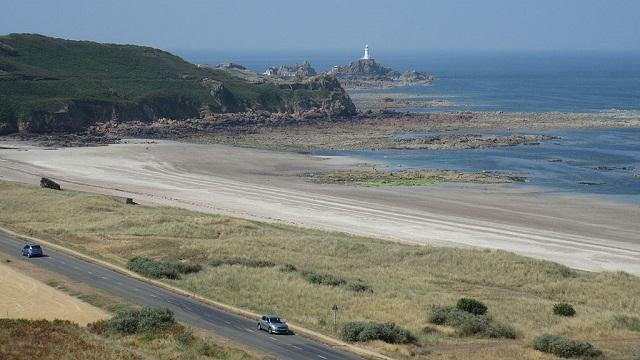 This route – which is somewhat less strenuous than the Saint Lawrence walk described above – starts at La Pulente, at the extreme south end of St Ouen’s Bay. From here, you will walk eastwards on fairly flat terrain, past the parish of St Brelade and Jersey Airport, all the way to St Peter’s Village. The village itself is actually a convenient start or end point for a variety of popular walking routes around the island, as you will see one of our local contacts explain in more detail shortly, and this traditional spot is well worth spending an afternoon exploring. If you’re feeling peckish or thirsty by the time you reach St Peter’s Village, you will come across the perfect pit stop at the Classic Tea Room, which can be found on the site of the Classic Farm Shop at Manor Farm. 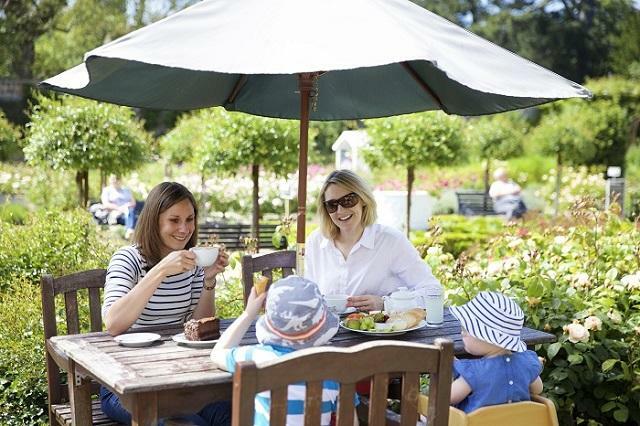 The owners of the family-run tea room were able to tell us more about what visitors can enjoy when they stop off there – and it certainly extends beyond what you’d usually expect from a café! 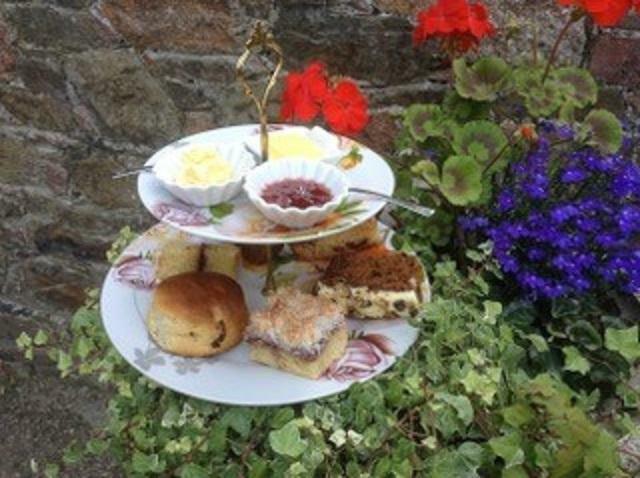 “Conveniently positioned in St Peter’s Village, not far from the beautiful coastal walks of St Ouen’s Bay, woodland walks in St Peter’s Valley, and various Green Lanes, the locally owned and family run Classic Tea Room is the ideal place for a pit stop, be it before, during or after your walk. Nestling in the Classic Herd Courtyard, we are in the enviable position of being able to source many of our ingredients directly from the farm (the only independent dairy farm on the island). 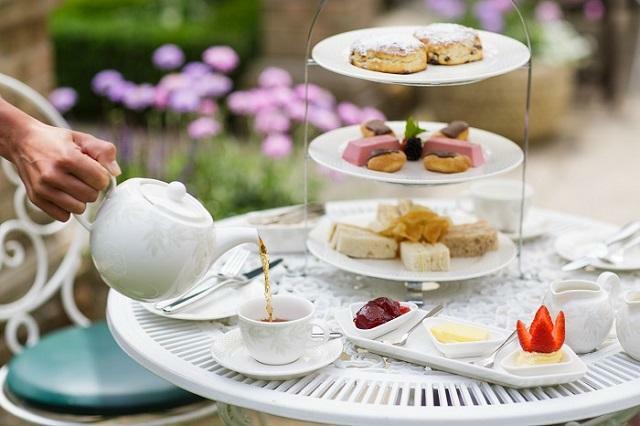 “At Classic Tea Room you can sit inside, or outside when the sun is shining, to enjoy a hearty (or light) breakfast, morning coffee, lunch (both hot and cold, freshly prepared and wholesome options are available from our menu) or afternoon tea. Gluten-free and vegetarian options are always available. After your visit, why not say hello to the baby calves and visit the farm shop? Here, along with other local products, you can buy some of the dairy produce, including delicious cheeses, yogurt and ice cream, which are all made on the farm. Finally, we take you to the east of Jersey, where you will begin a four-mile walk at Havre des Pas – a natural harbour which is home to the island’s historic bathing pool. “The Botanic Gardens at Samarès Manor are conveniently located on the 1A bus route in St Clement and are easily accessible to many of the eastern walking routes around the parish lanes and beaches. A stop here would provide a relaxing break in a peaceful environment. The Gardens, which are privately owned by the ‘Seigneur de Samarès’, Vincent Obbard, were created in the 1920s by millionaire philanthropist Sir James Knott. His wealth and fascination for rare and unusual plants resulted in one of Europe’s most outstanding gardens. Once you have (possibly reluctantly!) left the manor’s grounds, you will continue on into the parish of Grouville, which will present you with some spectacular views of the nearby bay. 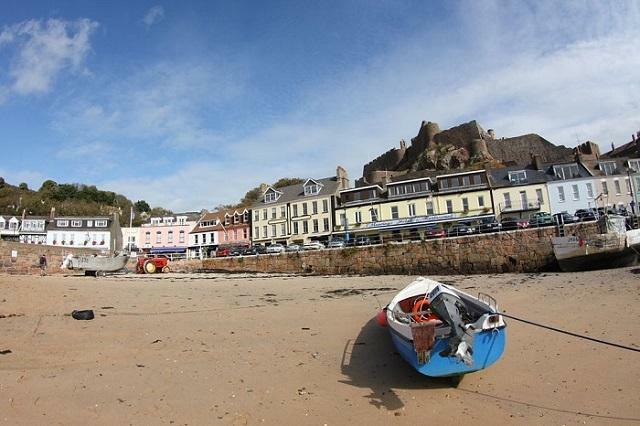 You will then move on to the idyllic harbour village of Gorey, where you can enjoy a relaxing evening meandering along the seafront or tucking into a rejuvenating meal. As you can see, Jersey is not exactly short of options when it comes to ways of exploring the island on foot. There are many reasons why a holiday in Jersey can be a rewarding and worthwhile experience but, after trying just one of these routes, we are sure you’ll agree that discovering what it has to offer in terms of the great outdoors is well worth getting those walking boots muddy for! This entry was posted in Jersey Activities and tagged Jersey cates, Jersey walking, walking in Jersey. Bookmark the permalink.